In addition to the application, please include a copy of a current report card along with the tuition payment. Students take two classes each Saturday. Please give your first and second choices for each period. Students in grades 1 and 2 are in class together and students in grades 3 and 4 are together. Please register according to the grade level. Please select a first choice and a second choice for each period. If your first choice is full you will be enrolled in your second choice and on the wait-list for the first choice. Did your child attend YES in the fall of 2018. Completed application form Tuition: by check (mailed to MITY) or credit card (link will appear after you hit submit). Current Report Card: Students who attended in the fall do not need to submit a report card. 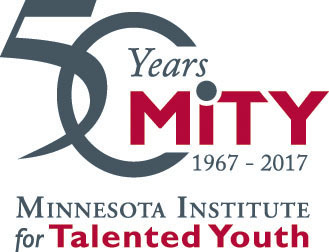 If you have any questions, please contact the MITY office at 651-696-6590.